Bookings are now open for 2019. For group, party, school and corporate bookings please call 0117 980 7175. This exciting high ropes activity is brilliant for schools, as we can cater for Key Stages 1, 2, 3 and 4. Pupils are given the perfect opportunity to develop their teamwork skills, step outside of their comfort zones, build confidence and demonstrate their leadership abilities. 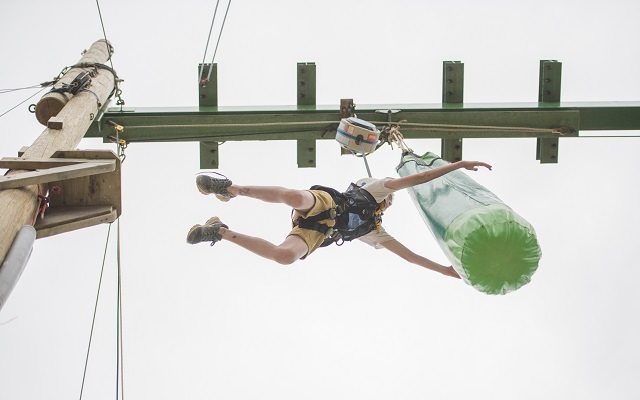 They are looked after by our experienced instructors as they challenge themselves through climbing, leaping and taking on the unique experience of Bristol’s only giant swing – a real favourite! We pride ourselves on keeping the kids entertained from start to finish. There’s no waiting around at Leap of Faith - it’s constant fun with everybody involved in the activities. Children of all ages will experience thrilling outdoor challenges at height in a safe environment, face personal tasks, work together and support each other throughout the session. Don’t think it’s enough? Don’t forget we have plenty of additional activities! If you want to extend your experience or swap any of the day’s challenges, please do let us know. We will be more than happy to create a package that suits your school and your budget.